The law is largely symbolic. The intense push led by conservative lawmakers in Western states beginning around 2012 for a massive transfer of federal lands to state and local control has slowed. That’s in part thanks to the Trump administration, which offers other means for conservatives to influence land management from within agencies. Interior Secretary Ryan Zinke says he does not support the land transfer idea, but he is sympathetic to critics of federal overreach in natural resource management. 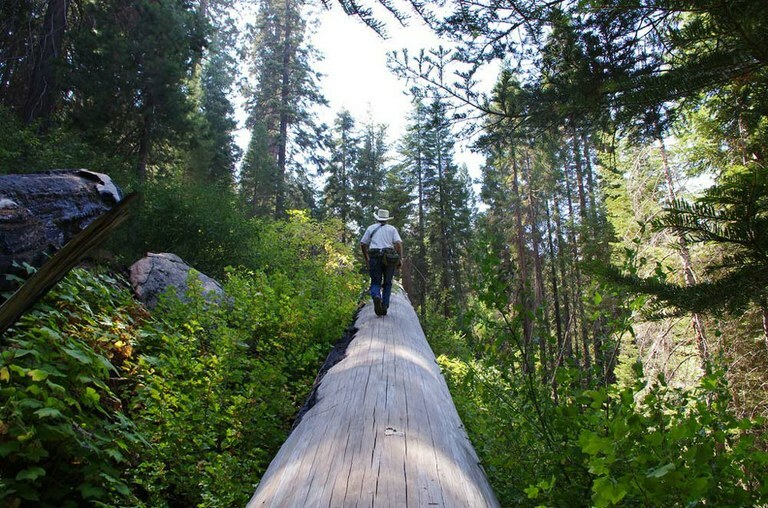 Giant Sequoia National Monument has had ups and down with forest management. California’s recently introduced Public Lands Protection Act would allow the state to have a say in federally initiated land transfers in the state. “We’re going to fight basically over our dead bodies,” he says. “Maybe it could happen in a place like Utah, but California is different, and we’re going to keep it that way.” Henson says the last time such a thing was attempted was during the George W. Bush administration, when the feds tried to dispose of 85,000 acres of national forest in California. “People went apoplectic,” Henson says, and the idea was dropped. Yet the bill is a way to prepare for the worst, conservationists say. If the land transfer idea picks up steam, the new law would be a backstop. The state can’t legally prohibit federal agencies, which own nearly half the land in California, from disposing of their land. But the law would throw a wrench in the process by prohibiting county officials from recording sales if they weren’t to a Native American tribe, part of a conservation plan, or for the purpose of renewing an existing lease. The Public Lands Protection Act is just one piece of a broader movement in response to anti-federal groups attempting to gain local control of public land, defund or undermine federal agencies or roll back conservationist protections. For instance, Zinke’s ongoing review of dozens of national monuments, to determine whether they should be shrunk or abolished, has elicited a new surge of advocacy across the West. Utah, Montana, Colorado and other states have seen groundswells of support for keeping national monuments in tact. In California, six monuments are up for review, which ends in late August. 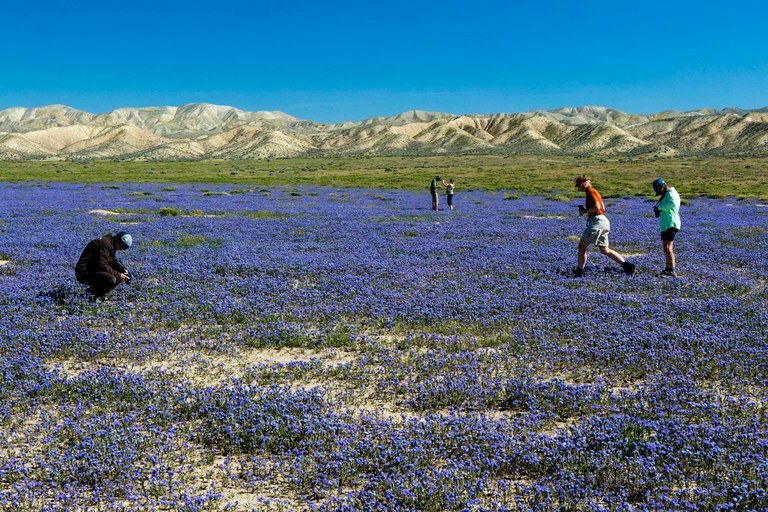 Carrizo Plain National Monument, which is up for review, boasted its beauty with a superbloom this year. The California Cattlemen’s Association and the American Farm Bureau Federation criticized early versions of the bill, but withdrew their opposition once a provision was added for the state to consider existing uses when deciding future management, were land ever transferred to state control. Other bills in the “Preserve California” package include Senate Bill 49, which would require state agencies to enforce standards for the Clean Air Act, Endangered Species Act and others at baseline levels as high as they were before Trump took office — even if those standards are weakened at the national level. The third bill, Senate Bill 51, would add protections for public employees in environmental or climate-science fields if they blow the whistle on the federal government for unethical actions, or if they publicize scientific research that the administration wants censored. The Public Lands Protection Act will be discussed in a final committee session in late August, before heading to the California Assembly floor for a vote. The deadline to pass it is Sept. 15. Tay Wiles is an associate editor at High Country News and is based in California. She can be reached at [email protected].